Release Date: Feb 2015-March 2015? I'm a little late to get this figure, but I'm glad I jumped on board. 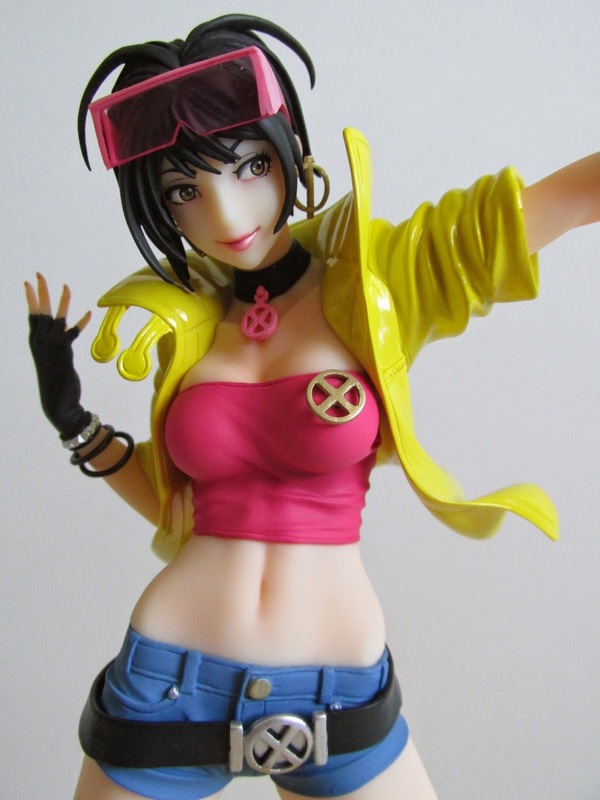 Kotobuikya's success with their Bishoujo statue line has allowed everyone's favorite firework toting X-Men to come to life. Overall, this statue is another fine work in the Bishoujo line and exemplifies Kotobukiya's detail to sculpting and paint apps. 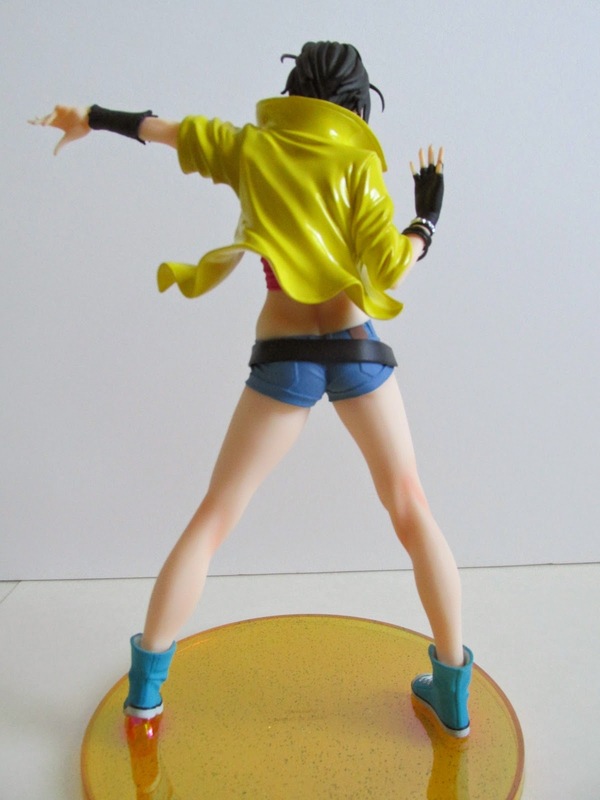 There is a clear paint distinguishment between the flesh, jacket, and other clothing accessories she wears. 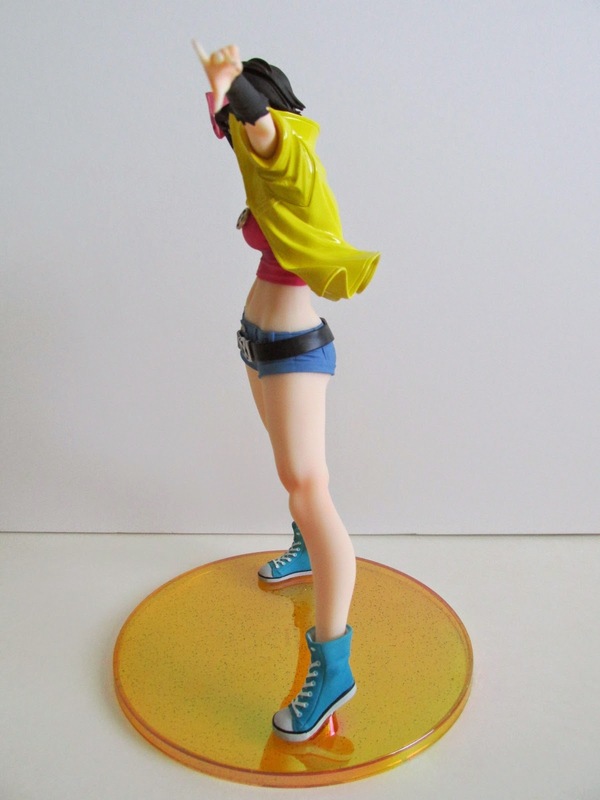 She also has pink fingernails that are finely painted and another attention to detail I'm loving with this statue. One of the clear differences with this release is the non sculpted, diorama like base. Usually, other statues in this line have some kind of specially sculpted base the acts more like a diorama for the figure. In this case, we get a clear yellow base with a pink iridescent shine and glitter mixed in. I'm really liking this simple base and the colors, which exemplify her firework power theme. 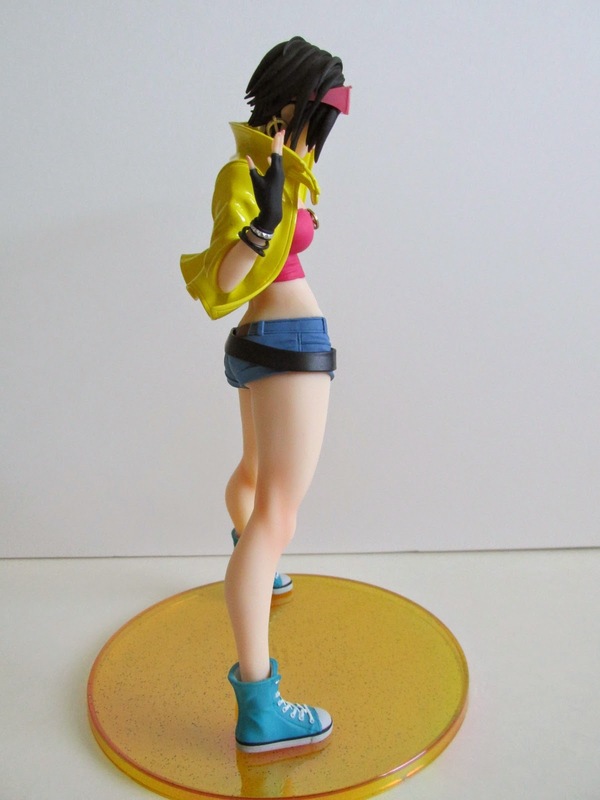 The base is also easy to attach to her feet and simply fit in with the pegs to the figure. She comes with one other accessory and that is her box like, 90's themed shades. The box states that these pair of sunglasses are part of the first run production for this figure...so kind of like an exclusive. I wasn't aware of this when I bought the figure, but I'm glad she came with these and will probably be how she is displayed. She does come with round sunglasses that gives her a slightly more modern look. These shades also look great, and you can't really go wrong with either pair. It is too bad this didn't come with some firework projectile to put on her hand much like what they did with the San Diego Comic Con 2014 X-Force Psylocke. It isn't a huge bummer, but would be another great addition to this figure. This does make me wonder if we will see some kind of exclusive version of this figure for Comic Con that has more accessories. 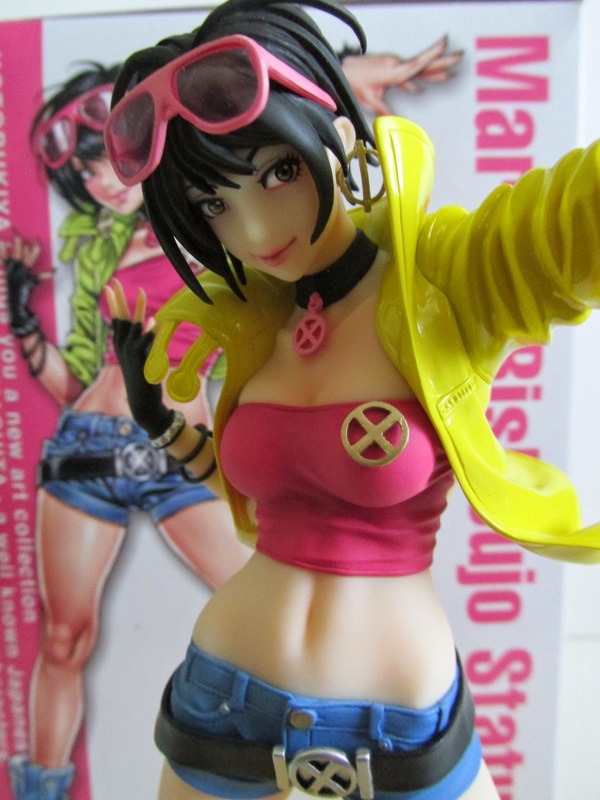 Still, I'm glad to have gotten this figure, and this looks great next to my other Marvel Bishoujo Statues. 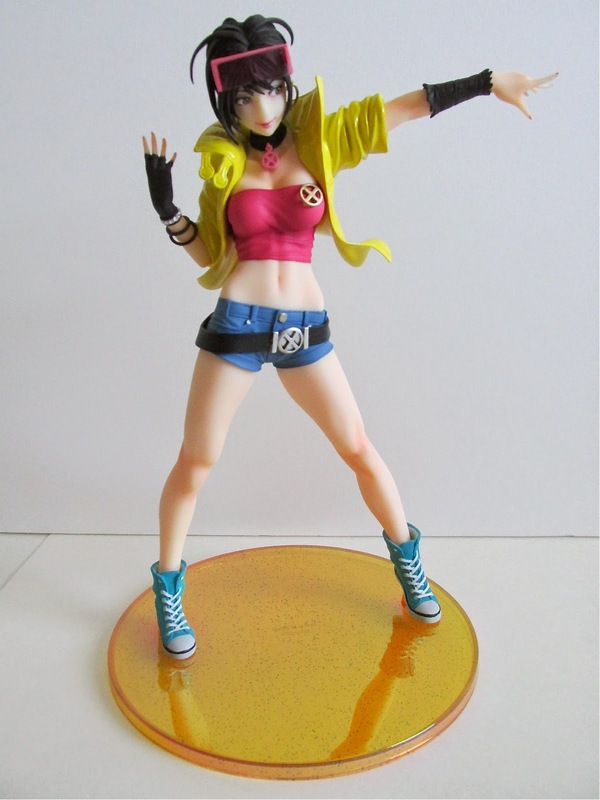 If you like Jubilee, you should not hesitate on acquiring this piece for your collections.